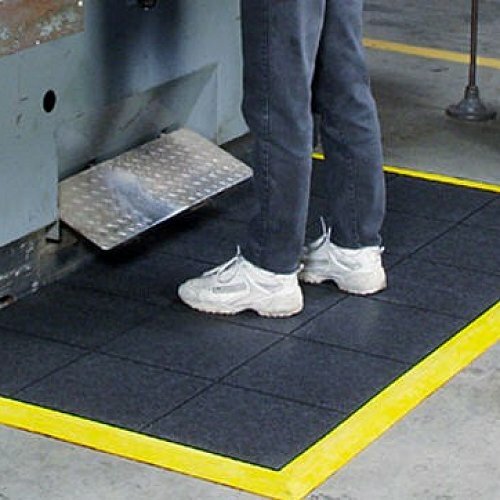 Click together tiles will keep your staff comfortable all day, Nitrile rubber makes it grease, oil and mild chemicals resistant. These tiles have a hidden interlocking click together system to make shapes and go around corners. 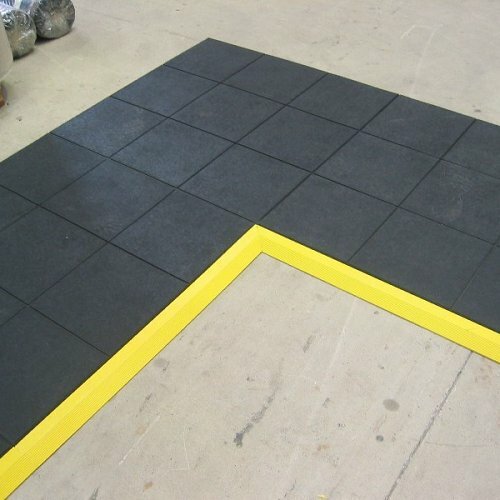 With their specialised ramps that come in Black or Yellow (see 574) they also are safe for your employees to use. 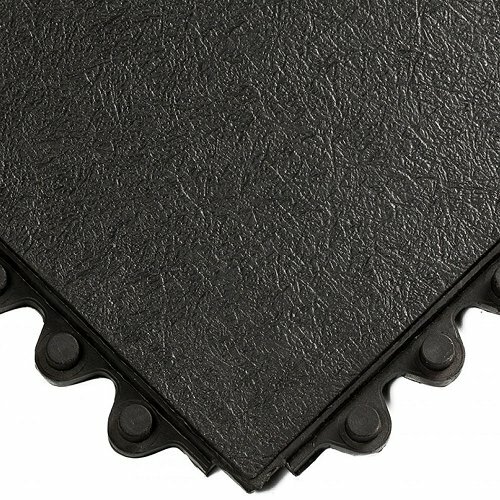 The solid 16mm thick mat makes it easy to clean with a sweep or some detergent, this mat can be made into lengths as long as a piece of string.